IF: In which course are you presently enrolled? Please tell us something about yourself – your interests and areas of specialization. 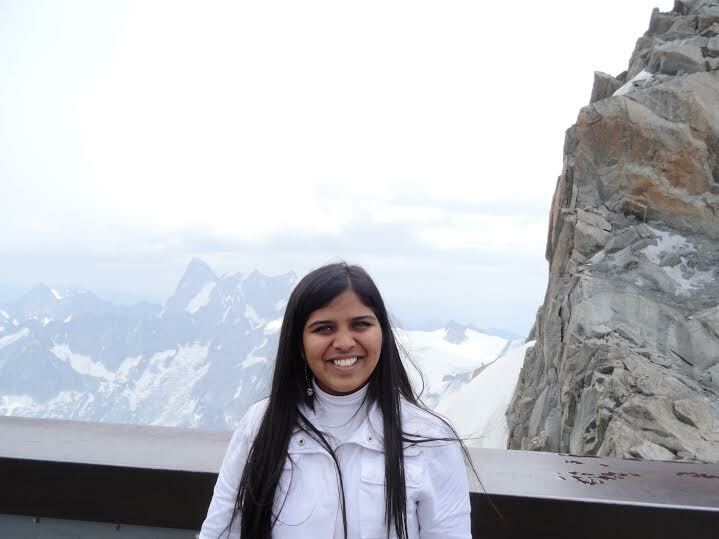 Ritika Nevatia (RN): I am working with Rakuten in Japan. I have completed my Bachelor in Computer Engineering in June 2015. IF: Which internship did you opt for? Give us a few details – stipend, duration and location. IF: How did you come to know about the internship? Which channels of information (Internet/ Personal/Corporate contacts etc) did you utilize? RN: My friend, Soham Kanade told me about it and I applied! IF: Briefly describe the procedure for application. What are the eligibility criteria for this internship? IF: Let’s talk about how competitive the selection process is. What qualities of yours do you think helped you to have an edge in the selection process? What key attributes were the selectors looking for? RN: 1500 students had applied, only 40 got selected from across the world. I think a strong resume, cover letter and a strong answer to the questions in the form are necessary. IF: According to you,what are some common mistakes that you feel applicants should avoid in the internship application process? RN: Take the forms lightly and fill in very casual answers. The answers are read by people who will hire you – they have to be cogent! IF: What kind of groundwork did you do post-selection and before beginning the internship? RN: Researched about the kind of projects available, checked out experiences of previous interns. In fact I had read Sneha’s interview with Internfeel for CERN! IF: Please give us an overview of the work/research project you carried out during the internship period, including its future prospects, and your role and responsibilities. RN: I was in the IT-DB team which translates to Information technology – databases . CERN has petabytes of data being generated from its four experiments and a lot of computing needs to be done on that. Considering the humongous amounts of data being generated, the IT department is big! I was hired to introduce and test a new tool developed by oracle called global data services – GDS which allows automatic load balancing across database replicas. To cut through the jargon, in oracle databases you have replicas of primary database for higher availability of data. However in cern when someone had to access data, they had a choice if they wanted to access it from primary or the replica manually. This is unnecessary as it should be done automatically. So GDS creates a layer between the user and databases and the user now queries the layer and the layer intelligently decides where should the query go based on workload at each database. IF: Was this your first internship / training? If not, what do you think was unique about this internship? RN: No, it was my second internship. My first intern was with a corporation – Barclays, I wrote about it on Internfeel. This was unique for the location, the co-interns, there were interns from different countries – totally different. The work was research, and not implementation unlike big corporations. IF: What was the best feature of the work ethic of the organization and the internship? What was it that you liked about your workplace? RN: There were no formalities – like silly things like dress code. It was open culture! IF: Let’s now talk about some negatives. What were the glitches and problems that came your way, which you think your juniors should be careful to avoid? RN: Were there any special events during the internships? (events can be academics related like field trips, conferences, hackathons, meets etc and also non-academic, relating to your hostel life and the like). What did you do off work? Yes! There was webfest which is specially organized for the summer students. We were taken to a trip to Zurich – Google office, ETH and Open Systems Office. We were also taken to Lausanne – EPFL. There were countless memories to be honest! Work would finish early by 5:30 and all interns were staying in the same hotel. There were 40 interns from 25 countries. I made really good friends with Macedonian, Finnish, Belgium, British and Spanish people! After work we’d cook, go around the city sometimes. Then every weekend was an outing to a city outside Geneva. We went to Bern, Zurich, Annecy, montreuax and many more French and Swiss cities! IF: How much difference has this internship period made in your intellectual capabilities and mindset. In broad terms what are your gains and takeaways? RN: There was just too much to gain. I learnt so much about cultures! I got a sense of how things work in Europe in general. I became more confident. IF: What are your future plans and how much of an impact do you think this internship will have on it? RN: I wish to work further, and having the CERN brand makes my resume very strong! IF: Any advice for juniors that can help them in getting internships in future and for deriving the best learning experience out of it? RN: Yes! Please apply – it all starts there. It may seem impossible – but luck has its way of doing things and it works only if you apply! IF: Any views about this initiative of InternFeel, and how beneficial it would be? Any suggestions/feedback for improvement? Internfeel is doing a great job! I read through the internship experience of Sneha before applying which helped me in my application. Its a chain that has been created! 🙂 Keep it up!